Candidate believes the implementation of the Pathways program is a priority for the district. 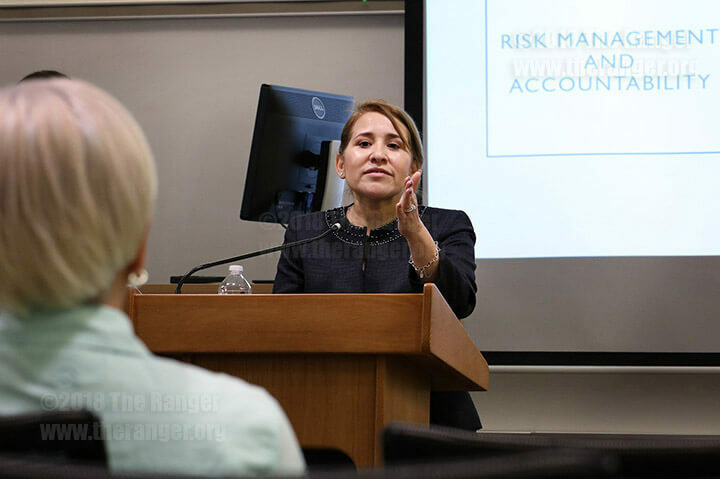 At an open forum for the new dean of student success candidate Oct. 5 on the fourth floor of Moody Learning Center, Dr. Maria Oralia De los Reyes said she wants to create a culture of excellence at this college to promote student success. Reyes said the key to doing this was getting faculty and staff involved in events on campus. Multimedia Professor Bruce Davis asked Reyes why she chose to apply for the position at this college. Reyes said that if the district can successfully implement academic pathways, it will be an example for other community colleges to follow. Reyes discussed what her goals at this college would be during a PowerPoint presentation. “The key thing in students affairs is to develop a dynamic student success agenda,” she said. Reyes said a dynamic agenda would allow faculty and staff to ensure students can succeed at this college. Reyes said throughout her career, the most common barrier for students who want to attend college is the cost. Psychology Professor Dr. Thomas Billimek asked Reyes if she has had any experience with the Institutes LC education model, which is being implemented across the Alamo Colleges. Reyes has been the assistant dean of the College of Engineering in Kingsville since 2016. Before working at Texas A&M, Reyes was the director of Title 5 and learning communities at the University of Texas at Brownsville from 2009-14. 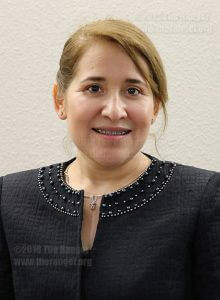 Reyes holds a bachelor’s degree in industrial engineering from Matamoros Institute of Technology, an MBA from the University of Texas at Brownsville and a Ph.D. in education administration from The University of Texas at Austin. Reyes is one of four candidates for the new position of dean of student success at this college. The other candidates are Dr. Vivian Miranda, director of student success Maricopa Community Colleges; Dr. Valschkia L. Dabney, vice president of the American Business Women’s Association, Greenspoint Chapter; and Dr. Becky McBride, associate vice chancellor of student services at Fletcher Technical Community College. This college’s executive team is expected to present a finalist to the board of trustees at the Oct. 16 board meeting at 6 P.M. AT 201 W. Sheridan.